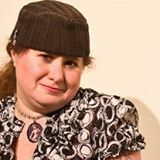 On Sunday, September 14th from 12-2pm, join Left Coast Writers® Live on FCCFREE RADIO’s popular show, Lilycat on Stuff. Lilycat’s guest on Sunday will be Carl Russo. Carl Russo is a San Francisco author who has written for the Oakland Tribune, indieWIRE and other publications. He was a radio producer and disc jockey at KUSF-FM for more than a decade. Russo fell in love with Sicily on his first trip to the island in 1999 and has returned many times since. In 2010, he began a blog, MafiaExposed.com, which became the basis for his book. The Sicilian Mafia: A True Crime Travel Guide is the first book of its kind in any language—the ultimate Cosa Nostra experience. Since 2006, author Carl Russo has photographed Mafia hotspots on the Italian island of Sicily: where the murders happened, where the godfathers lived, where their victims are buried. From the sunbaked fishing villages of the Mediterranean to the darkest alleys of Palermo, western Sicily is the exotic backdrop for more than 100 meticulously researched tales of murder and mayhem, packed with 200 photographs of the actual locations.